Roshan Adiga, CEO of QFX Cinemas, said: "No Nepali film is in the pipeline for release." Made on a budget of approximately Rs. 100 crore and produced under the Yash Raj Films' banner, the Aamir, Katrina Kaif, Abhishek Bachchan and Uday Chopra-starrer hit as many as 4,000 screens across the globe. In comparison to the over $2 billion Indian film industry, the filmdom in Nepal is very small and the maximum budget of a film doesn't exceed NRs. 3 million (approximately $30,000) to NRs. 4 million ($40,000). 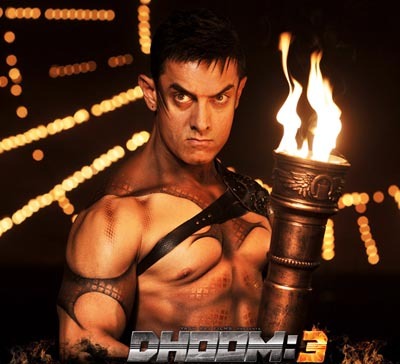 "Dhoom: 3", which had a global release Dec 20, hit the screens here simultaneously. The sleek thrilling saga, directed by Vijay Krishan Acharya, is successfully running in approximately 120 multiplexes and theatres, and it is expected to pull crowds for another three weeks. "I must admit that the big budget Indian movies have a severe impact on our industry and 'Dhoom: 3' has repeated the history," Rai said. Gopi Krishna Movies brought "Dhoom: 3" in Nepal after paying a whopping NRs. 32 million. Nepali audiences are directly influenced by Indian TV and Aamir's stardom helped the film get a grand opening here. It is not only "Dhoom: 3", which is impacting the Nepal film industry, popularly known as Kollywood. Other Bollywood big-ticket films too have cast a shadow over local productions. Earlier this year, when "Chennai Express" hit the screens in multiplexes, several filmmakers decided to delay the release of their movies. Moreover, multiplex owners give priority to Hindi movies over domestic ones because business matters to them. Certainly, there is fear-psyche among the producers and distributors when big budget Hindi movies starring superstars hit the multiplexes, said distributor Sunil Manandhar. Though Nepali cinema is struggling, several big budget Indian films do excellent business and collect record breaking revenues at the box office.